Whether you are a family on the go or just looking for some quick, healthy baby food for your little one, Baby Gourmet is here to give your baby the proper nutrients and a delicious experience all wrapped into one! We previously spoke about Baby Gourmet’s Squoosh Line, yummy juices for kids (yes, and adults!) 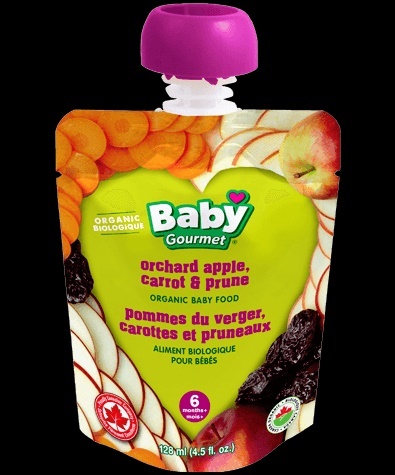 and now Baby Gourmet has some new yummy ORGANIC baby food. Vanilla Banana Berry Risotto, Tropical Banana Berry, Juicy Pear and Garden Greens. 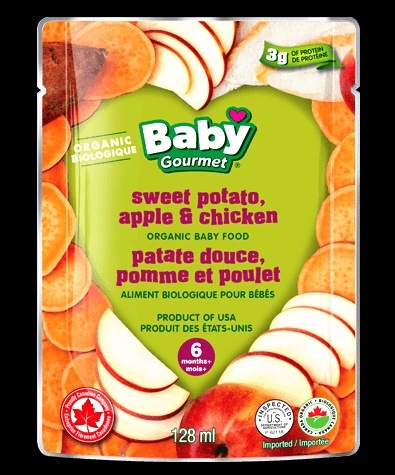 Baby Gourmet continues to expand its line of delicious, thoughtful combos designed to introduce baby to new veggies, textures and spices and say bye bye to picky eaters. Classics like the above Juicy Pear and Garden Greens, combine broccoli and spinach with creamy pear to sweeten the pot and expose young palates to veggies, while the below are new flavour combos babies won’t be able to get enough of! 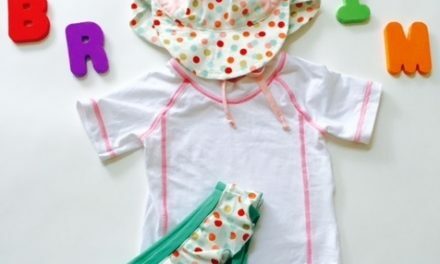 Baby Gourmet contains no added sugars, salts, fillers, or thickeners. We tested each of these flavors on little ones that were 6 to nine months old and our favorite response was ” My son, is eating kale!” Of course he would! It has yummy banana and delicious apple mixed with it! Each of these flavors are to introduce new combinations to your child, give them a delicious and filling meal and give them the energy to process all of the new information they are learning every day! Make sure your little one is getting the nutrition they deserve while feeding them yummy ready to serve food that will get them gulping down every bite! Find a store near you to purchase these yummy meals here!